Ahh, so we’re thinking about messing around with the electrics, are we? Well, we should probably make sure you’ve considered all the important stuff before diving in. Call us sentimental old fools if you want, but we’d rather not see you wind up extra crispy. 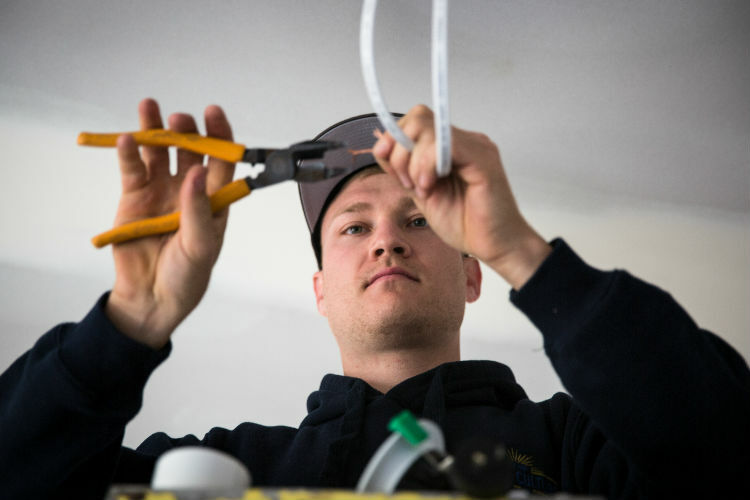 According to Justin from Omzen Electrics, “The kind of job that people should be doing without a skilled electrician is changing a lightbulb. That’s about it.” He’s a pro so we’d be inclined to believe him, and wouldn’t recommend attempting anything more complex unless you’ve actually had some professional experience. It’s not worth it. You’ve got too much to live for! Downlights might the popular lighting of choice in modern households, but they’re also best tackled by the experts. “We’re forever coming out to sort of halogen downlights,” Justin also mentions. “Instead of doing it yourself, give us a call, we’ll sort it out for you, and you’ll never have to call us again.” Sounds like a plan! No, we’re not talking about Microsoft’s handy slideshow software. 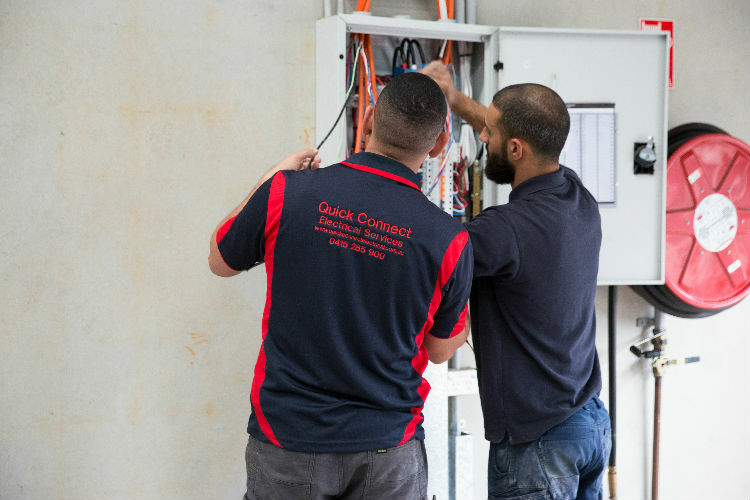 If you’d like some incentive to stay away from your actual, physical power points, check out this horror story from Quick Connect Electrical’s Karl: “We had one guy who connected a power point incorrectly. He plugged an appliance in and blew the appliance and half the wiring out of the house. Anything electrical – 240V – don’t touch it; get someone qualified.” Noted. In fact, we might even go so far as to call them a no-no-no-no-no. If Karl’s tale wasn’t enough, then Joey from Energy Culture’s ceiling fan yarn will surely sway you: “We went into one house recently where the guy had tried to hook up a fan and a light with a dimmer,” Joey whispers, his face turning paler by the second. “When we turned the light switch on the fan came on really slowly, and then when we turned the dimmer on the fan sped up but the light turned off. It was out of control really.” There you have it, folks. Ceiling fans = one for the pros. 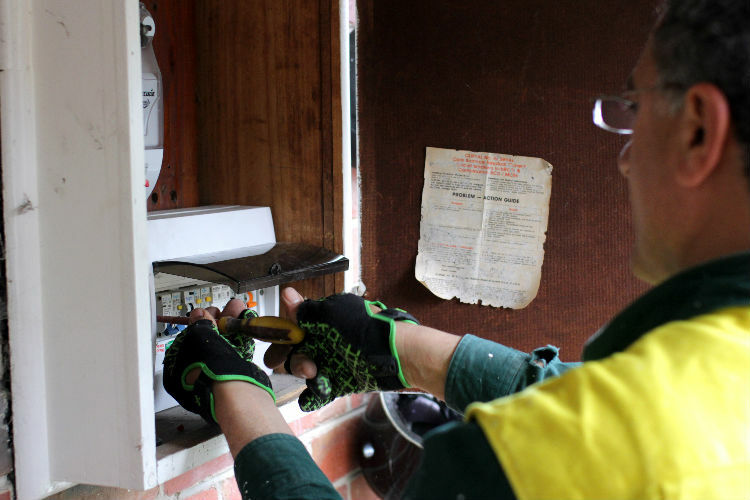 If you’re still set on bravely venturing into the world of electrical DIY, make sure you talk to an expert first!